Published on April 19, 2019 in Uncategorized. 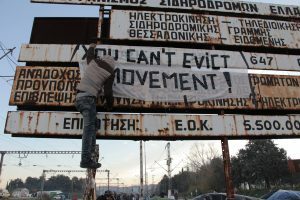 Closed Tags: 2019, accommodation, athens, evictions, Exarchia, greece, homeless, housing, protest, reception conditions, refugee squats, struggles and resistance. Within just one week Greek police forces in April 2019 have evicted four refugee squats in Athens all located in Exarchia area leaving around 200-300 refugees homeless. While authorities are politically framing the operation as ‘a step forward in an anti-drug campaign’ in the area, their efforts have hit the ones in need of protection instead and criminalize the refuee squats. 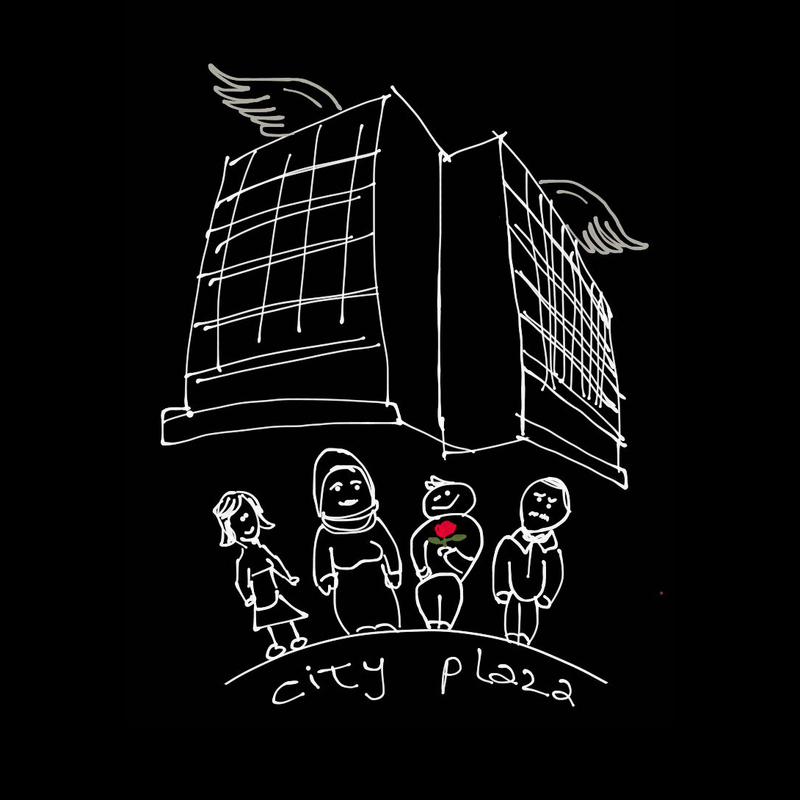 Refugee families, many with kids, are left ever since on the streets. They are now not only again unprotected and with empty hands but also (re–)traumatized. 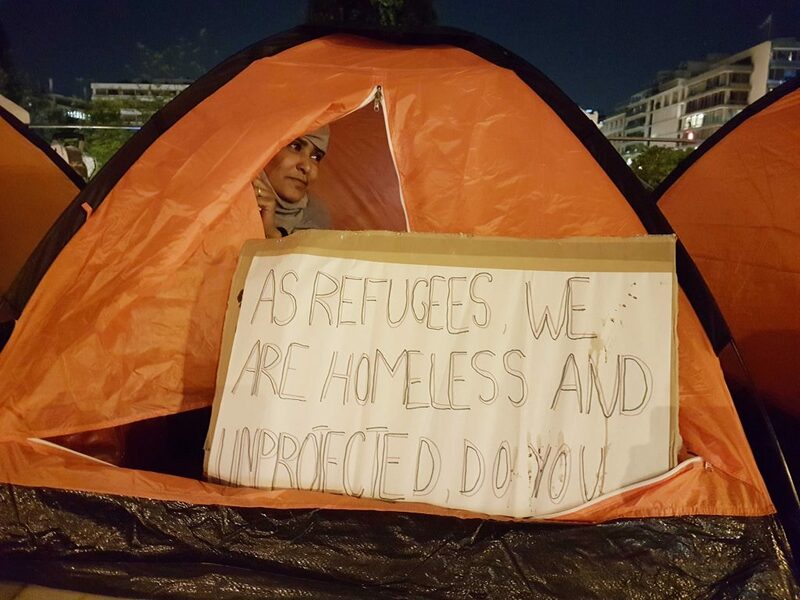 Around 60 refugees are protesting since two days at Syndaghma Square. 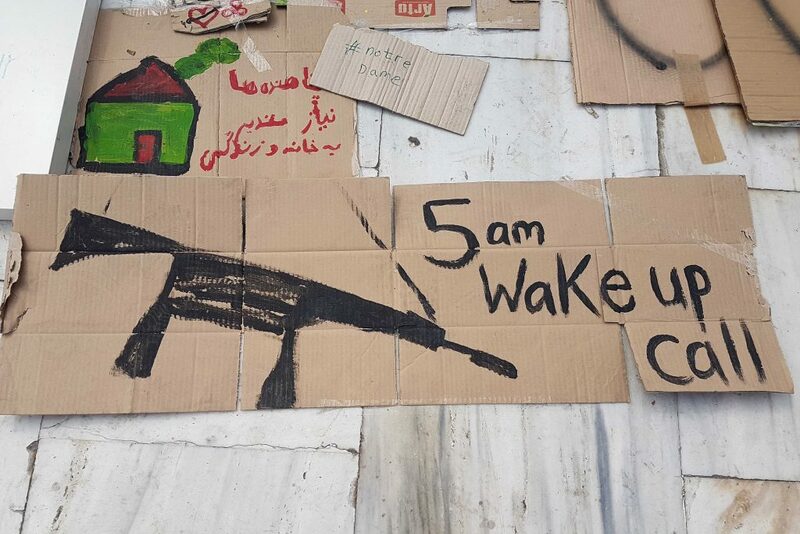 On 18 April 2019 two refugee squats in Exarchia (Athens) got raided in the early morning hours around 5am. People residing respectively in Clandestina and Cyclopi squats got evicted with a massive police presence. 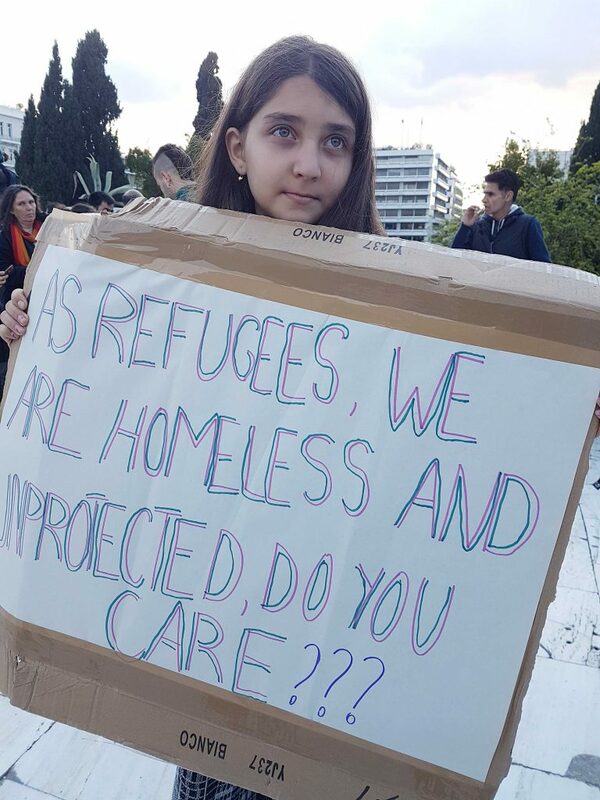 In total 68 refugees (among them 25 kids) were arrested and after more than 4 hours released to the streets of Athens. Among the homeless are refugees from Afghanistan, Iran and Eritrea amongst others. There are many families, single mothers and small children. A pregnant lady had to be transferred to the hospital after the terror of the eviction. She is in danger to suffer a miscarriage. 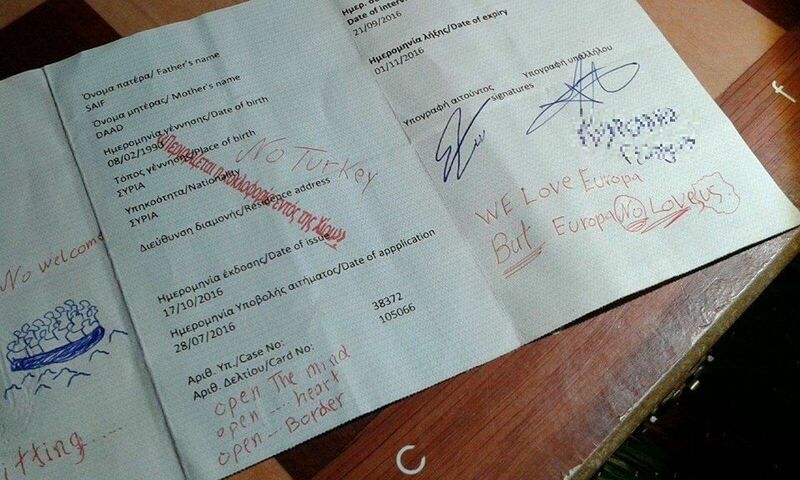 Sick refugees lost track of their medicines, prescriptions and attestations. Everything I had is in that locked building now: My tax number, by social insurance documents, medical papers… I am at zero again. They didn’t let us take anything. 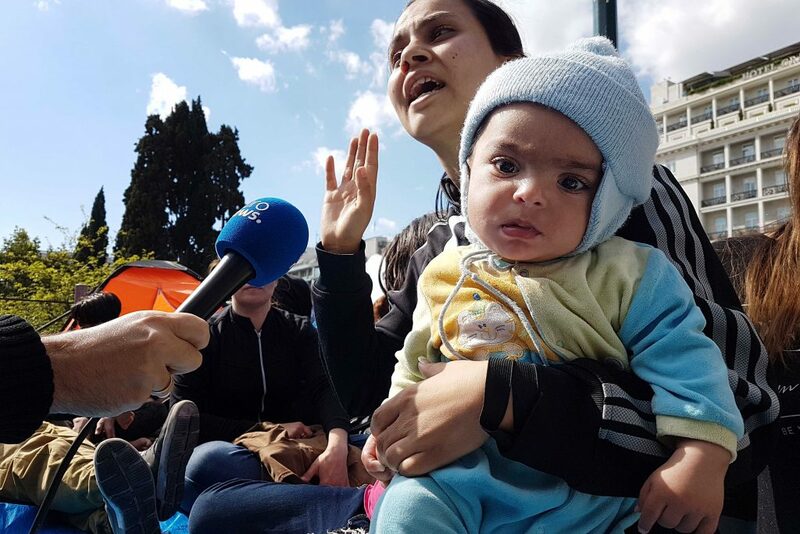 In the early afternoon of the same day mothers, fathers and children from different countries started together a protest in Syndaghma Square in the centre of Athens demanding dignified housing and safety from the Greek state. 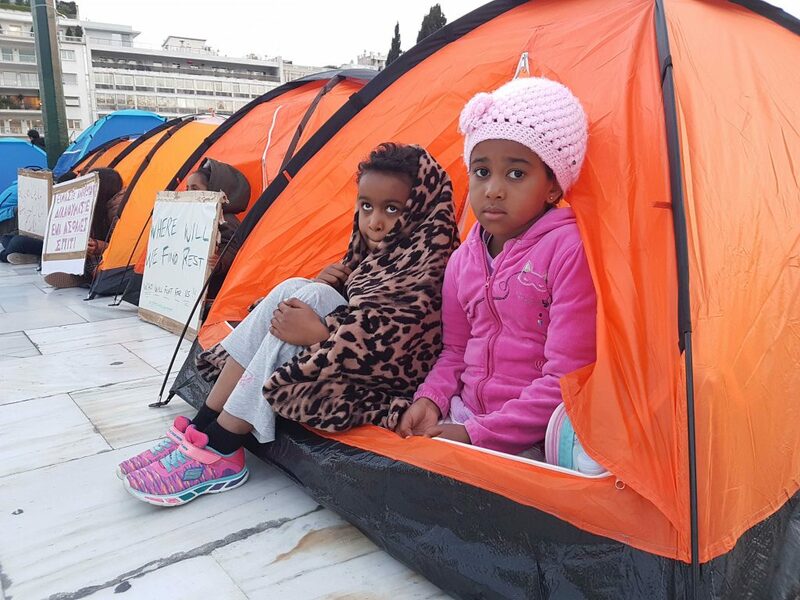 Despite the strong cold, they remained over night in a dozen tents set up in opposite side to the Greek parliament. 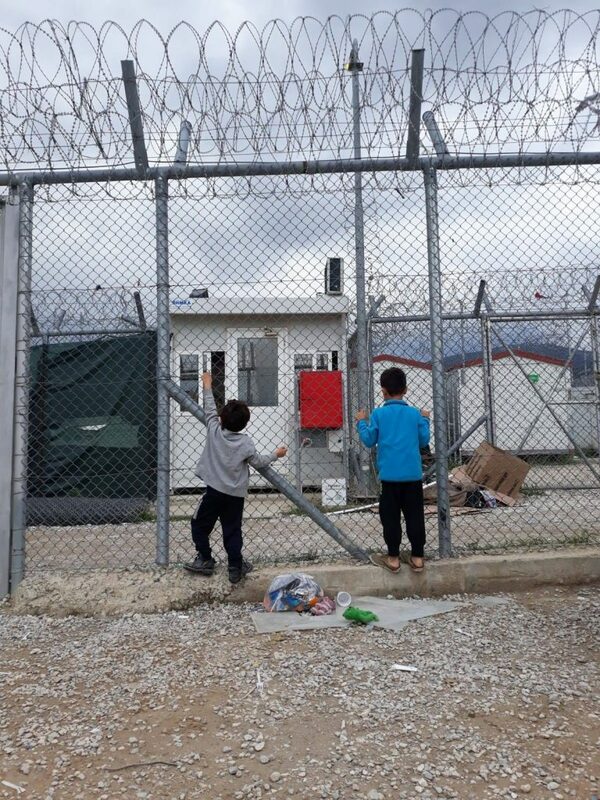 The only ‘offer’ by the police until now was to find ‘shelter’ in the pre-removal detention centre in Amygdaleza, which refugees denied to accept. I suffer from psychological problems. My doctor instructed me to not stress myself. Yesterday in the morning we woke up by the sound of shouting and suddenly a lot of police entered the place we were sleeping in. Some of us got pushed. I had two panic attacks the last two days. Half of my body got paralysed from the fear. I am still under shock. Where should we go now? I was sleeping with my children, when I suddenly woke up with guns being held in front of my eyes. There was police everywhere. I tried to collect our most important belongings. The police was shouting: ‘Fast, fast!’ Two of my kids have heart problems. One of them has Asthma. … It is six months I am trying to call the asylum service from Skype without success. Without the asylum seeker card, I can not apply for housing. Only a few days earlier, on 11 April 2019 Azadi squat and neighboring Babylon had also been raided by the police. Around 200 cops were reported on site that day. Refugees stated, that the police forces evaded the place suddenly at dawn. Approx. 90 persons got arrested and transferred to Amygdaleza pre-removal detention centre. The buildings were locked while their personal belongings were thrown on the street. 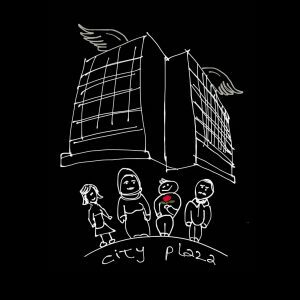 On 19 April the evicted families are remaining in Syndaghma square. They prepare to sleep one more night in the cold lacking any alternative. Authorities still have not found any solution for their accommodation. The protesting refugee stated, there were 20 kids among them and they would stay until there was a real solution found for them all. We just demand a safe place for us and our kids! 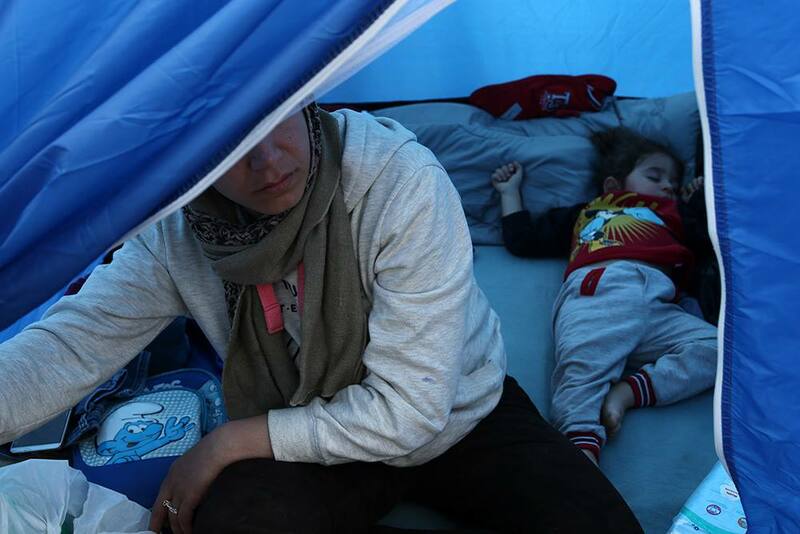 Meanwhile, more than 70,000 refugees are estimated to live in Greece currently. Approx. 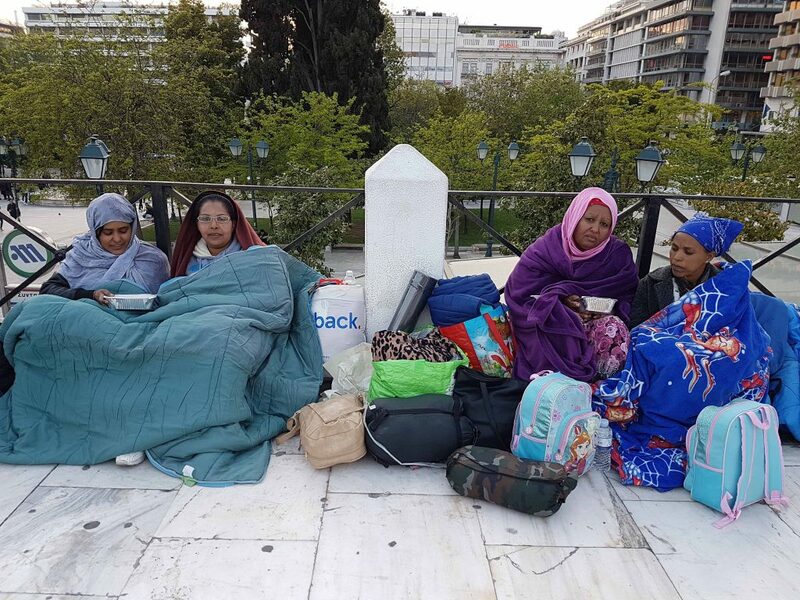 23,000 are sheltered in flats by UNHCRs’ ESTIA program (March 2019), another 28,000 are being provisory placed under deplorable conditions in temporary accommodation sites in mainland Greece (15,000) or the six infamous ‘hotspots’ on the Aegean Islands and in Fylakio (in Evros region) (13,000) and 6,000 stay in short-term housing provided by the International Organisation of Migration (IOM) in 54 hotels all over Greece. At the same time, an unknown number of protection seekers remains without an official shelter sleeping rough in public spaces or staying unofficially in the states’ refugee camps. They remain without access to the monthly allowances provided for by the Cash-Card system of ESTIA housing scheme or the Social Solidarity Fund (KEA), which people with refugee status can apply for along with Greek citizens. 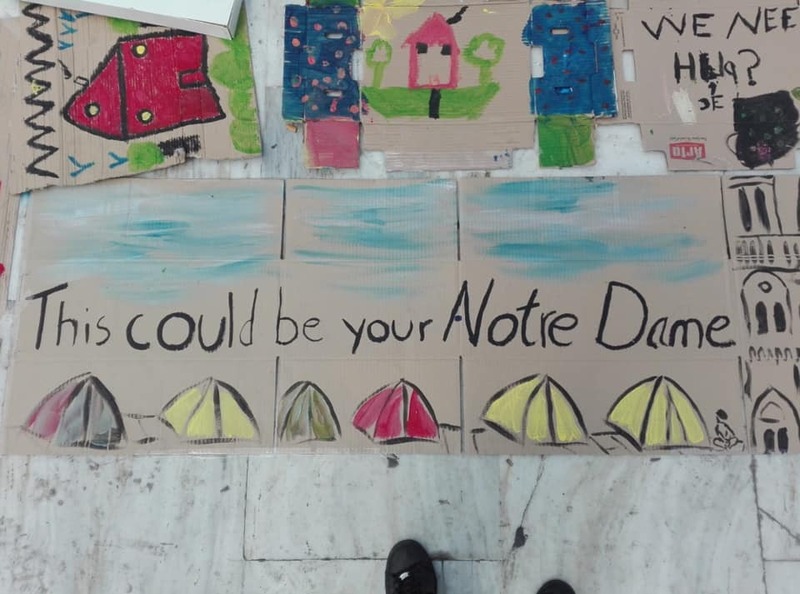 Without a roof over their head, without money to buy food or medicines, they would be exposed to life-threatening conditions, if not their self-organisation in around 12 refugee squats in Athens and other solidarity spaces would create the ‘welcoming and protective spaces’ that the state fails to secure. Two days ago we experienced the second act of operation “target refugees to harvest votes”. 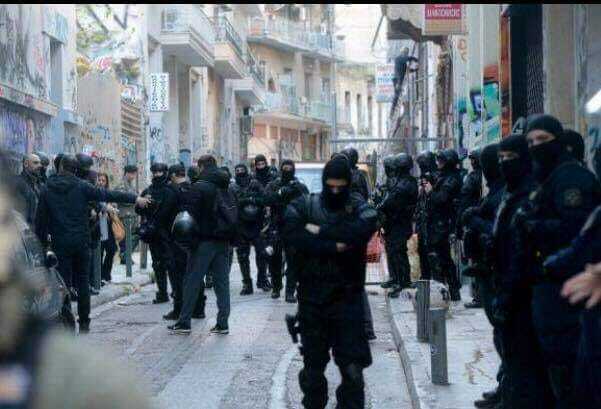 Heavily armed squadrons of MAT and EKAM riot police units invaded two refugee squats in the neighborhood of Exarchia. As with the previous police operations, no links were found between the refugee squats and the local mafias. In addition, no refugee was arrested for any criminal act. Drugs displayed by the police were found in another irrelevant apartment. But the government’s goal was achieved. That is to say, a large quantity of “law and order” style TV show material was produced. Refugees were once again targeted as criminals. SYRIZA sent out the message that there is no need to vote for New Democracy since they too can act out the role of a police state. The fact that some dozens of refugees have nowhere to sleep is a minor detail which politicians and the media couldn’t show any less interest for. Mrs. Papakosta’s “Montmartre” consists of repression, politicking and racism but no rights and solidarity. The police operation that took place 2 days ago in Exarchia, against the two refugee squats was not directed against the mafia in the neighbourhood. Despite the propaganda, they did not find anything in the squats to link them with mafia. The goal of the government and the police was a show of power. Refugees have been turned into scapegoats for pre-election purposes. Refugee targeting does not harm mafia, but it strengthens the racist stereotype of identifying “foreigners/refugees” with criminal activity and of course, opens the way to fascist violence. 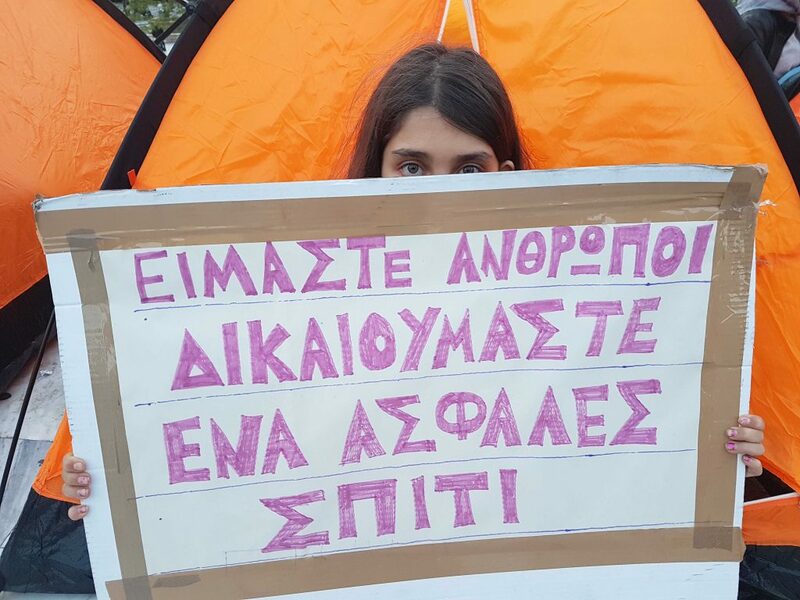 We remind them that the squats are the voices against the failed policies of the state on “migration management”. The housing problem is more acute than ever, for both refugees and locals. Instead of finding solutions for the housing problems, government and the oppositions are turning against those who have no shelter and hope. The recipe is classic: Instead of limiting poverty, targeting and criminalising poverty. Do not let them impose the policy of fear and hatred.